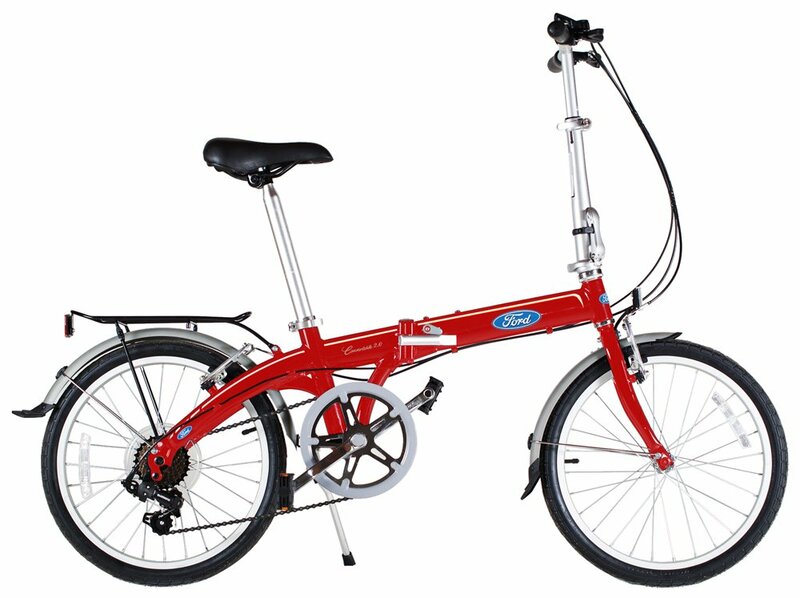 This is a solidly built folding bike designed and manufactured by Dahon and branded by Ford. These two renowned brands in motoring and cycling industries are teamed up to deliver one of the best folding bikes priced at such an affordable price - only under $400. It is made with heavy-duty components and durable materials, assuring a long-lasting age range. 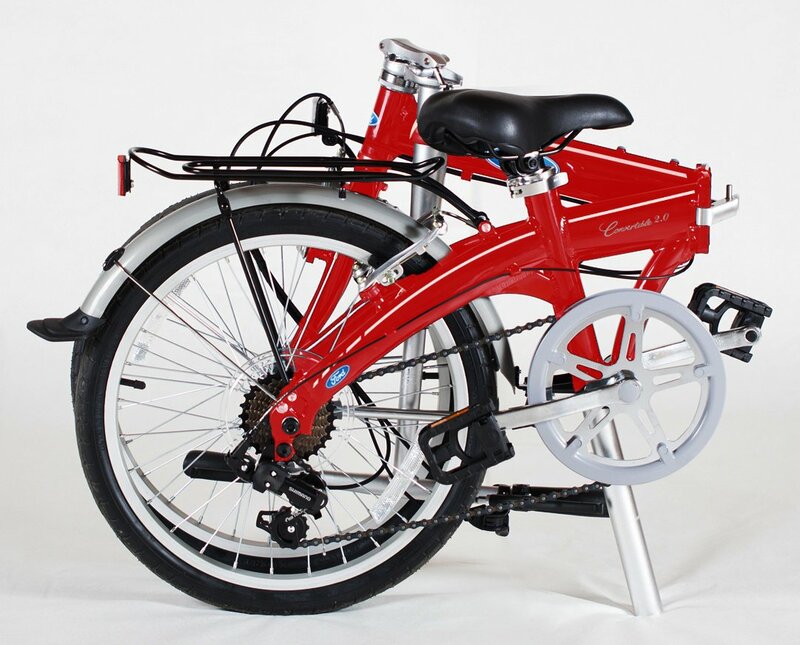 Constructed with strong and durable aluminum frame, this folding bike has received good reviews for being well-built and solid particularly for utility riding or short rides in urban areas. Derailleur with 7 speed on this model, distributed by the leading cycling equipment manufacturer SHIMANO, functions efficiently on paved roads and moderate hills. Other parts such as V-brakes, fenders and rear rack are made from heavy duty alloy materials, ensuring long-lasting age range of 7-9 years for this folding bicycle. Made with aluminum material and heavy-duty components, the bike is surely made to last long. The age range is estimated to be from 7 to 9 years. 7 gear speeds are practical for urban commuting, allowing riders to moderately climb up hills without much challenge. A wide range of adjustability on stem, seat post, and handlebar. The adjustable stem is a great feature enabling a trouble-free transition of bike’s dimension to fit riders’ size and height. Folding mechanism is very well engineered, allowing folding and unfolding process quick and effortless. Rear racks are included, optimizing for extra load carriage. Fenders are attached both to the front and back, protecting the bike when rolling on wet or drizzly roads. Compared to other folding bikes of the same range, this Ford by Dahon bicycle is priced much less. The relatively heavy weight of around 30 lbs makes the bike less appealing to buyers who prioritize portability and light weight. However, its compact folded size, along with its sturdily-built structure, could definitely compensate. Folded size: 33" x 14" x 25"
Can I roll the bike when it is being folded away? Or do I have to carry it? You can carry it, but it is able to be rolled forward as well. All you need to do is fold the bike, hold up the saddle or handlebars and push it away. What is the style of shifters? Does the bike require assembly when being shipped? The bike comes in box almost 99% assembled. Only left pedal needs to be installed (with the provided tool in the package). And the tires are partly deflated due to ease of shipping, so you just need to inflate the tires according to specs. The only downside of this Ford by Dahon 2.0 Convertible 7 Speed Folding Bike stays in its heavy weight. The rest is built with careful thoughts on riding comfort and quality. It is an ideal folded bicycle for not only daily commuting but also for your travelling and trekking trips on weekends. In conclusion, this bike is surely a good value for your money, powered by Dahon and Ford - trustworthy manufacturers of all kind.